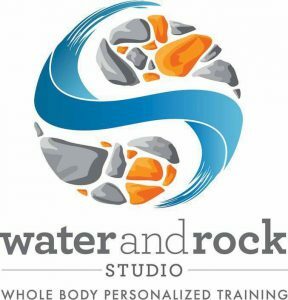 Japheth and I are really excited to announce the grand opening of our third Water and Rock Studio location, this time in Burlington, Vermont! After four and a half years of growing our studios in Chestnut Hill, PA, and Glenside, PA, we are expanding our business to bring our cutting edge health, fitness and wellness services to the residents and visitors of Burlington, Charlotte, Colchester, Essex, Essex Junction, Hinesburg, Jericho, Richmond, Shelburne, South Burlington, St. George, Williston, and Wonooski, VT. Our new studio opened November 1, 2017, and is located in the heart of downtown Burlington, Vermont’s largest city which borders Lake Champlain. Located only about 40 minutes from the mountains of Stowe, and with the feel of a beach town due to its proximity to Lake Champlain, the Burlington area is known as a destination spot for those from all over the world, including Canada (Montreal is about 1.5 hours away), and cities such as Boston, New York, and of course Philadelphia. Come visit this gorgeous and vibrant city and stop in to see us! Visit our website for more about us, our studio, and our services. We are grateful for this opportunity and are endlessly thankful to all of our friends, family, clients, and community partners for helping make this happen. We are passionate about helping others optimize their mental and physical health and can’t wait to continue our work in Vermont! We hope that you will spread the word and come by to visit!